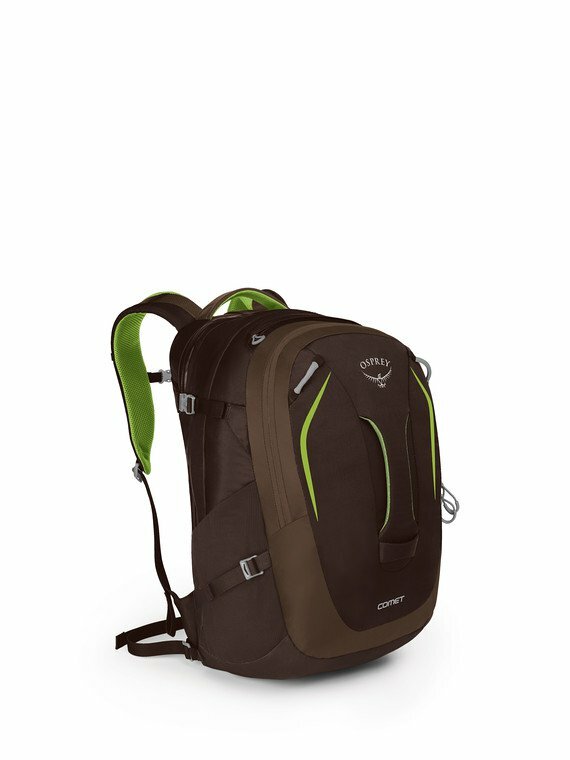 "Osprey's Comet is equally at home on backcountry hikes or running errands downtown. Plenty of well-designed pockets and sturdy construction make this daypack a mid-sized favorite. The mesh shoulder harness and backpanel provide comfort, even when the pack is fully loaded with gear or heavy electronics. A removable webbing hipbelt adds extra stability for heavier loads and vanishes when you are traveling light. Inside the panel-access main compartment, you'll find laptop and tablet sleeves to protect your devices. Storage options include side and front stretch mesh pockets and a zippered front panel pocket and there is also an upper slash pocket to corral your sunglasses and other small items. Should your adventures keep you out past dark, clip a blinker light to the pack's rear attachment point for added nocturnal visibility. 1831 in3 / 30 l | 20h x 13w x 12d in. | 1.94 lbs."